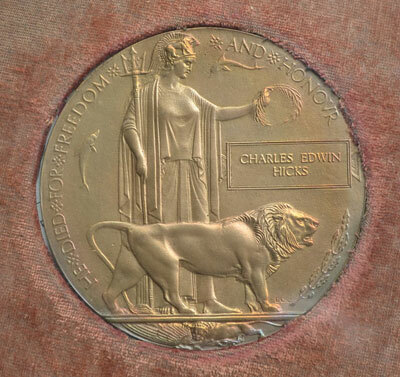 Private Charles Edwin HICKS. 28420. 6th Battalion Yorkshire Regiment. Son of Elizabeth Ann and the late William Hicks of Loftus. Husband of Mary Elizabeth. Killed 13 December 1916. Aged 33. Below is a photo of the British War Medal and Victory Medal awarded to Private Hicks, together with the letter of appreciation that accompanied the issue of these medals. To view a larger sized image which opens in a new window, select the image below. 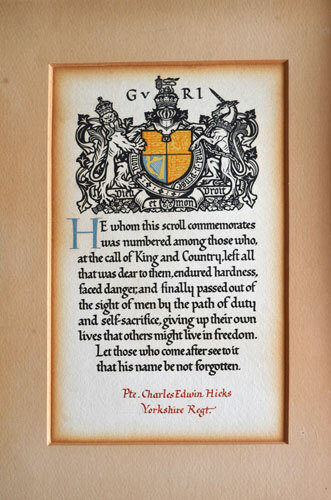 Below is a photo of the Memorial Plaque issued to the next of kin of Private Hicks. To view a larger sized image which opens in a new window, select the image below. Below is a photo of the Commemorative Scroll that accompanied the issue of the Memorial Plaque. To view a larger sized image which opens in a new window, select the image below. 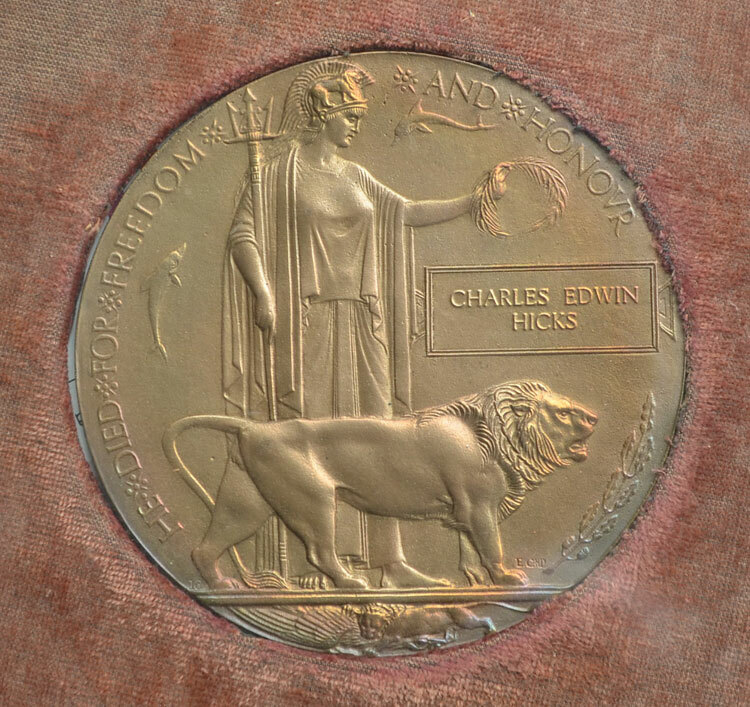 Charles Edwin Hicks was the father of Freda, Gladys, Harold and Frank Hicks. 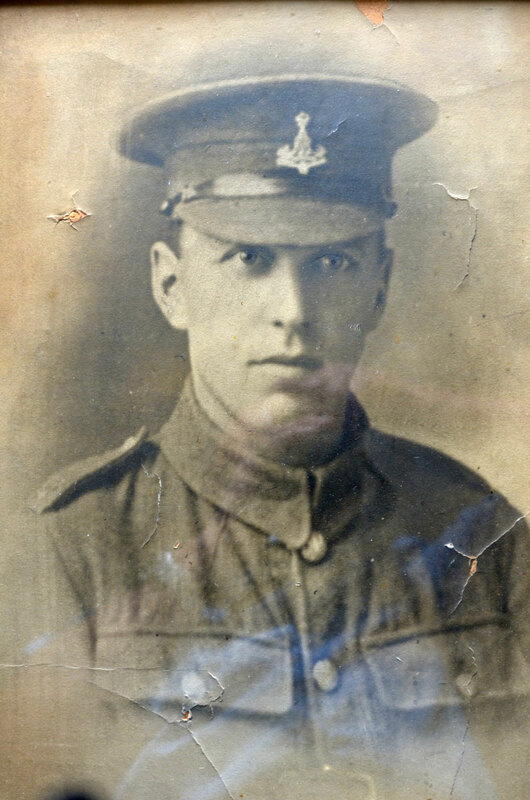 His younger brother, William Arthur Hicks, also served in the Yorkshire Regiment (the 4th Battalion) and was killed on 29 April 1915. 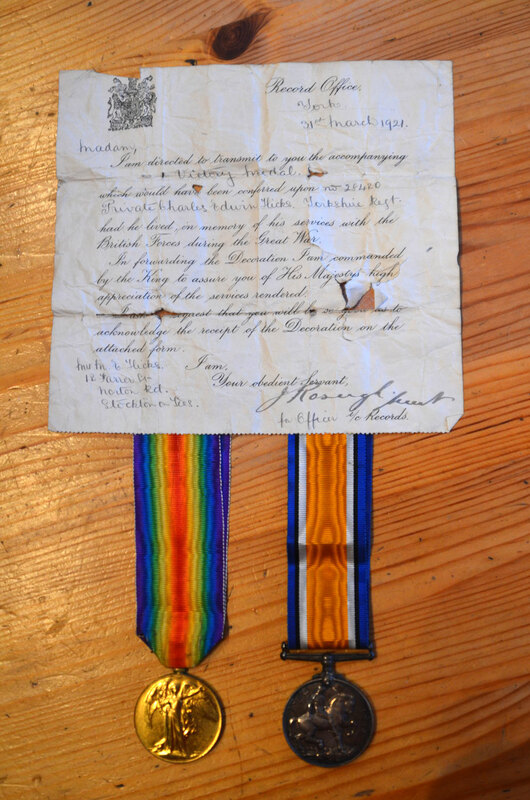 His sister, Alice May Hicks, served as a nurse in Alexandra during the war. (Photo provided by his grand-daughter, Thelma Issa <samuel.issa@ntlworld.com>), - daughter of Frank Hicks.